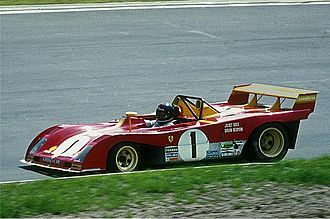 The 125 F1 was Ferrari's first Formula One car. It shared its engine with the 125 S sports racer which preceded it by a year, but was developed at the same time by Enzo Ferrari, Valerio Colotti and designer, Gioacchino Colombo. The 125 F1 used a supercharged 1.5-litre V12 engine and sported a steel tube-frame chassis with longitudinal and cross members. It had a double wishbone suspension with a transverse leaf spring in front and a torsion bar in the rear which was upgraded to a de Dion tube for 1950. 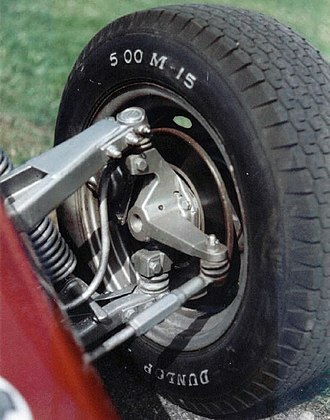 Worm and sector steering and four-wheel drum brakes were the norm for the time. The 2,160 mm (85 in) wheelbase was uprated to 2,320 mm (91 in) in the 1949 redesign. The chassis and transmission design was by Valerio Colotti. The 125 F1 was powered by Colombo's 1.5-litre (1497 cc/91 in³) 60° V12. It had a single overhead camshaft on each bank of cylinders with a 60° angle between the two banks. 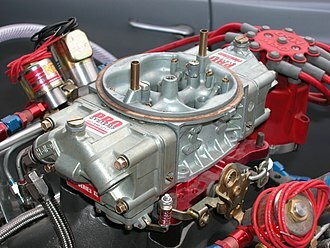 The engine had two valves per cylinder fed through one Weber 40DOC3 or 50WCF carburettor. With just a 6.5:1 compression ratio, the supercharged engine still produced 230 hp (172 kW) at 7000 rpm. However, the Roots-type single-stage supercharger was incapable of producing the high-end power required to compete with the strong eight-cylinder Alfa Romeo 158 and four-cylinder Maserati 4CLT. 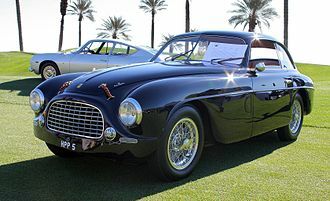 Strong driving and a nimble chassis, however, allowed the company to place third in its first outing, at the Valentino Grand Prix on September 5, 1948 and the company persevered in racing. For 1949, the engine was further modified with dual overhead camshafts (though still two valves per cylinder) and a two-stage supercharger. 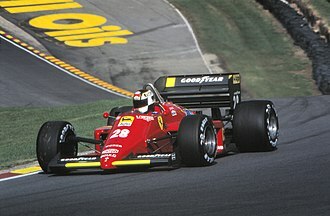 This combination gave the car better top-end performance and the resulting 280 hp (209 kW) gave it five Grand Prix wins. 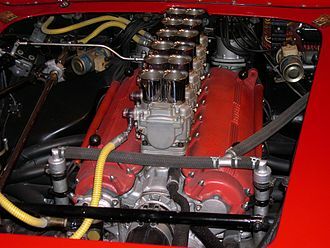 Development continued the following year, but the problematic superchargers were dropped in favor of larger displacement and Lampredi's 275 engine superseded the original Colombo engine. The original chassis have been lost (used for Ferrari 275), but an exact replica with the original Colombo engine currently resides in Museo Ferrari in Maranello alongside newer Ferrari F1 machines. The 125 F1 debuted at the Valentino Grand Prix on September 5, 1948. 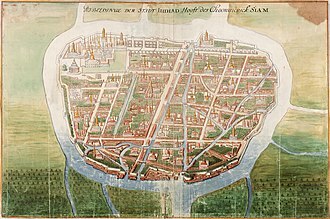 Three cars were fielded, with drivers Prince Bira of Siam, Nino Farina, and Raymond Sommer who placed third in the race. ^ "GILCO ferrari 125 GP chassis". Gilco Design. Retrieved August 10, 2006. ^ Small, Steve (1994). The Guinness Complete Grand Prix Who's Who. Guinness. pp. 37, 357, 388 and 400. ISBN 0851127029. The first outcome of Lampredis work was the experimental 275 S. Just two of these racing barchettas were built, based on the 166 MM but using the experimental 3. 3-litre V12 and these were raced at the Mille Miglia of 1950 on April 23. Although one car held the lead for a time, both were forced to retire with mechanical failure before the end. 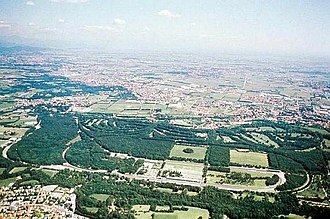 The 275 F1 made its debut at the Grand Prix of Belgium on June 18, with three Weber 42DCF carburetors, a single overhead camshaft for each bank of cylinders, and two valves per cylinder, the engine produced a capable 300 hp at 7200 rpm. Alberto Ascari drove the car to place, marking the end of the 3. 3-litre engine. The 275 was replaced at the Grand Prix of Nations at Geneva on July 30,1950 by the 340 F1, as the name suggests, the car sported a larger 4. 1-litre version of Lampredis V12. Other changes included a new de Dion tube rear suspension based on that in the 166 F2 car and it had a longer 2,420 mm wheelbase, but other dimensions remained the same. With 335 hp, Ascari was able to keep up with the Alfa Romeo 158 of Juan Manuel Fangio, although the 340 proved itself capable, it was only the middle step in Ferraris 1950 car development. Ferrari achieved the 4. 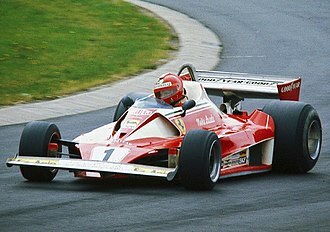 5-litre goal of the formula with the 375 F1 and this 4. 5-litre engine produced roughly the same power as its 4. 1-litre predecessor, but its tractability earned Ascari second place in that debut race. 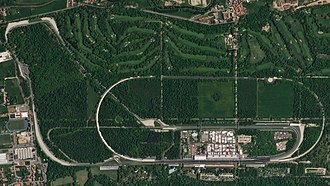 Ascaris wins at the Nürburgring and Monza and strong throughout the season cemented the companys position as a Formula One contender. Changes in the Formula One regulations led the company to shift the big engine to an Indy car, three new Weber 40IF4C carburettors brought power output to 400 hp, the wheelbase was lengthened, and the chassis and suspension were strengthened. Although the car performed well in European testing, it was not able to meet the American challenge, Ascari was the driver who did qualify the car for the race, starting 25th with a qualifying speed of 134.3 mp/h. 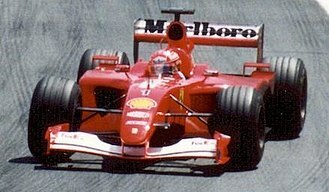 Bira, was the first and remains the only Thai to drive in Formula One. He raced in Formula One and Grand Prix races for the Maserati and Connaught teams, among others. He was an Olympic sailor in the Melbourne Olympics,1956 in the Star, Rome Olympics,1960 in the Star, Tokyo Olympics,1964 in the Dragon and the Munich Olympics,1972 in the Tempest. In the 1960 Games he competed against another former Formula One driver, Roberto Mieres, Birabongse was the only Southeast Asian driver in Formula One until Malaysias Alex Yoong joined Minardi in 2001. Prince Bira was not only a driver, he was a pilot of gliders. In 1952 he flew from London to Bangkok in his own twin engine Miles Gemini aircraft, Prince Birabongses parents were Prince Bhanurangsi Savangwongse and his second wife. 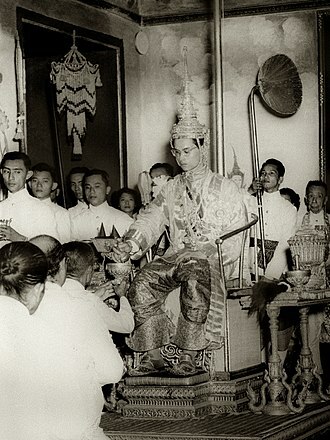 Birabongses paternal grandfather was King Mongkut, loosely portrayed in the Hollywood movies The King and I and Anna and his mother died when Prince Birabongse was only four years old. Birabongse was sent to Europe in 1927 to complete his education in England at Eton College, where he joined one of his nephews, while he was at Eton Biras father died, leaving him an orphan. He was placed under the care of his cousin, Prince Chula Chakrabongse, on leaving Eton at age 18, in early 1933, Prince Bira moved in with Prince Chula in London, while he decided on his future. Prince Birabongse had been registered to attend Trinity College, initially, Prince Chula hired a tutor for Prince Bira, to better prepare him for the exam, but Prince Bira changed his mind and expressed a desire to learn sculpture rather than attend university. Prince Chula approached leading sculptor Charles Wheeler, and Wheeler took Prince Bira on as a pupil within his studio. Although Prince Bira showed some talent as a sculptor, in Wheelers opinion he needed to learn to draw, both Prince Chula and her parents placed severe limitations on their relationship, and it was not until 1938 that they were able to marry. Bira first raced with his cousin Prince Chulas team, White Mouse Racing, driving a Riley Imp at Brooklands in 1935, in this car Bira established the national motor racing colours of Siam, pale blue with yellow. The regulations governing the cars are unique to the championship. 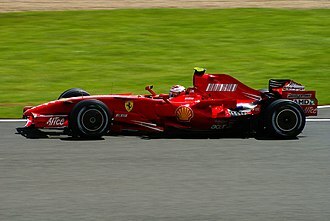 The Formula One regulations specify that cars must be constructed by the teams themselves, though the design. 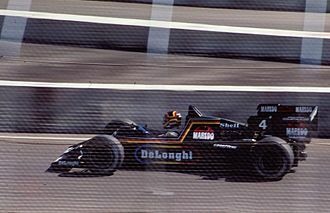 The modern-day Formula One cars are constructed from composites of carbon fibre, the minimum weight permissible is 702 kg including the driver but not fuel. Cars are weighed with dry-weather tyres fitted, prior to the 2014 F1 season, cars often weighed in under this limit so teams added ballast in order to add weight to the car. The advantage of using ballast is that it can be placed anywhere in the car to provide ideal weight distribution and this can help lower the cars centre of gravity to improve stability and allows the team to fine-tune the weight distribution of the car to suit individual circuits. 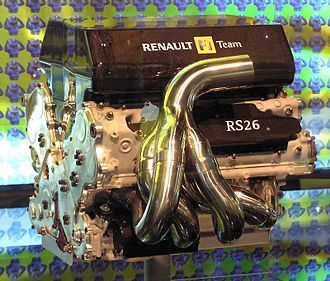 The 2009 season limited engines to 18,000 rpm in order to improve engine reliability, the FIA has continually enforced material and design restrictions to limit power. Even with the restrictions, the V10s in the 2005 season were reputed to develop 980 hp, the lesser funded teams had the option of keeping the current V10 for another season, but with a rev limiter to keep them competitive with the most powerful V8 engines. The only team to take this option was the Toro Rosso team, the engines consume around 450 l of air per second. Race fuel consumption rate is normally around 75 l/100 km travelled, All cars have the engine located between the driver and the rear axle. 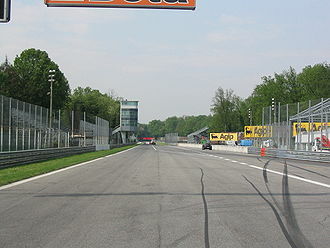 In the 2004 championship, engines were required to last a full race weekend, for the 2005 championship, they were required to last two full race weekends and if a team changes an engine between the two races, they incur a penalty of 10 grid positions. In 2007, this rule was altered slightly and an engine only had to last for Saturday and Sunday running and this was to promote Friday running. In the 2008 season, engines were required to last two race weekends, the same regulation as the 2006 season. However, for the 2009 season, each driver is allowed to use a maximum of 8 engines over the season and this method of limiting engine costs increases the importance of tactics, since the teams have to choose which races to have a new or an already-used engine. A traditional semi-elliptical Hotchkiss leaf spring arrangement. On the left, the spring is connected to the frame through a shackle. Back plate made in the pressing shop. Cut-away section of a wheel cylinder.